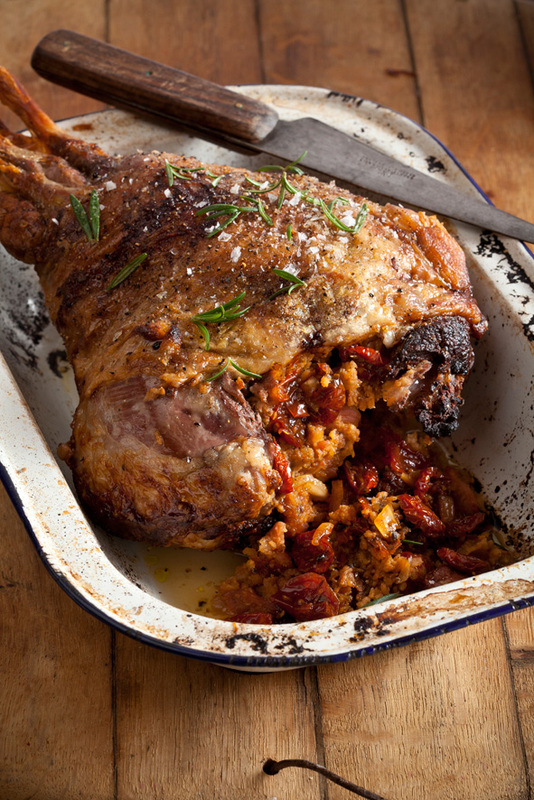 Our recipe for Bacon and tomato stuffed leg of lamb shows that with only a few star ingredients – bacon, feta, peppadews and, of course, Pronto Mama Greek Slow-Roasted Tomatoes – you can turn a leg of lamb into a showstopper. Mix together the breadcrumbs, bacon, peppadews, feta and Pronto Mama. Season accordingly. Cut deep incisions in the lamb and stuff with the stuffing. Rub with olive oil, rosemary, salt and pepper. Roast for one to one and a half hours in the oven, or until the lamb is cooked through. Rest for 10 minutes and slice. Serve the lamb with roasted potatoes and seasonal vegetables.